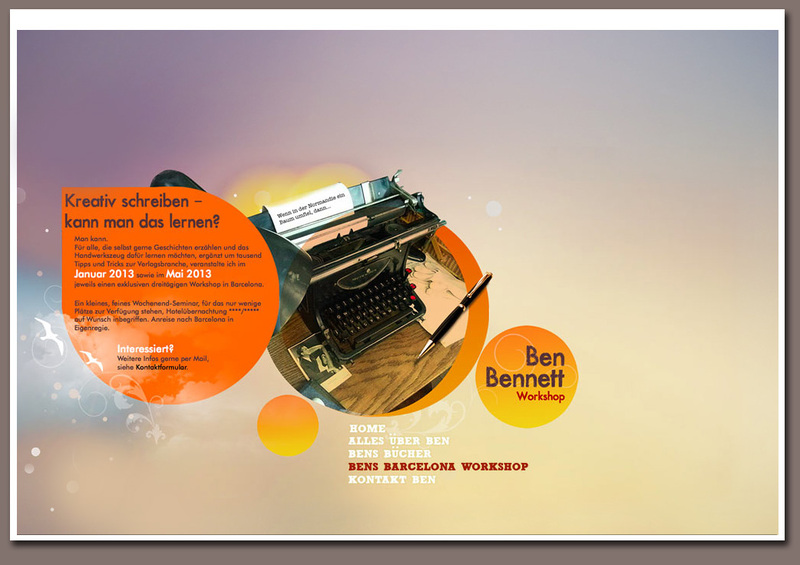 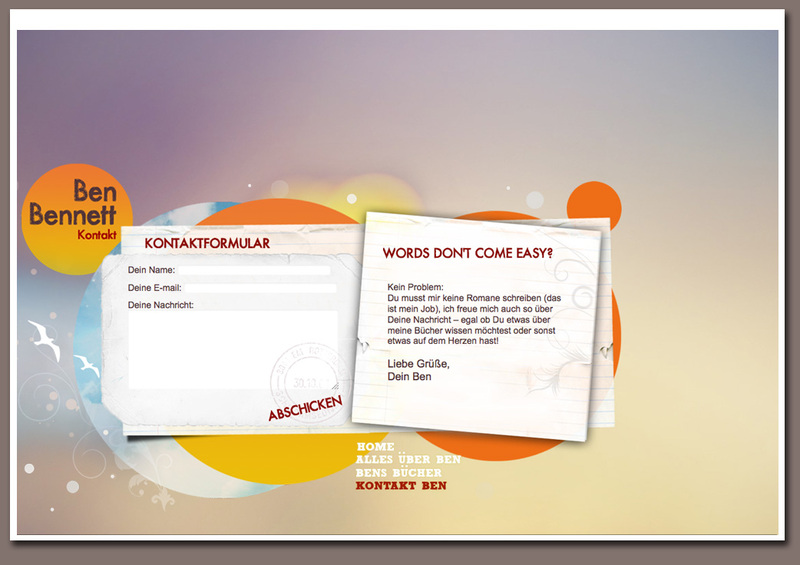 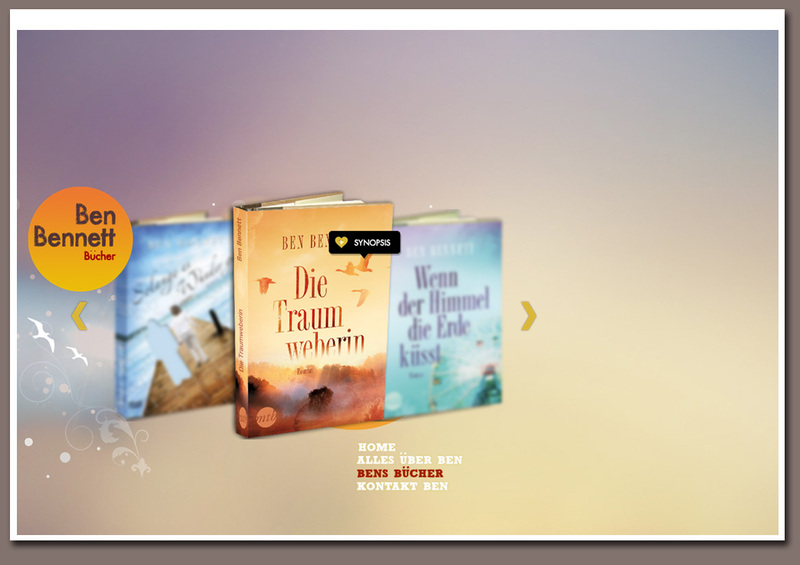 Ben Bennett, a German author who wrote the best seller “Solange es Wunder Gibt” ( As Long As There Are Miracles), needed a personal website but wanted it to reflect the tone of his writing: romantic novels with a touch of magic and wonder, but also a certain level of spiritualism. 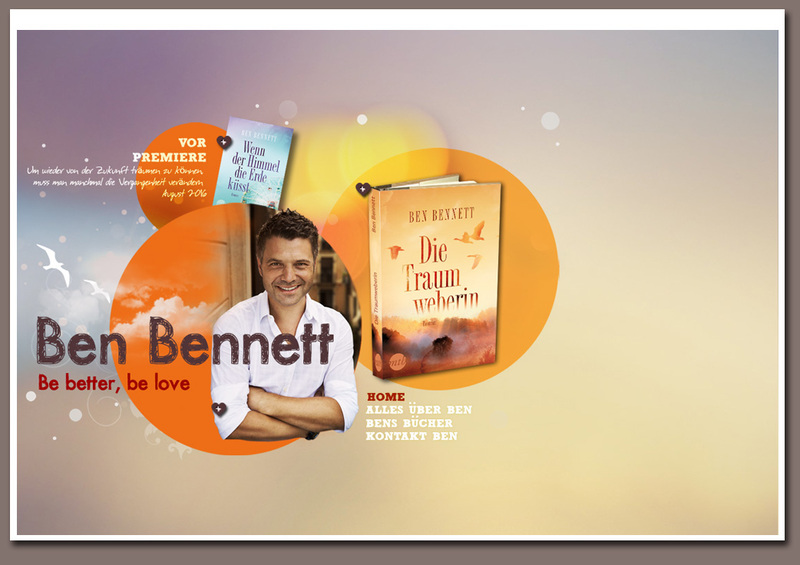 Ben’s books are feel-good romantic novels fueled with magic and warmth. 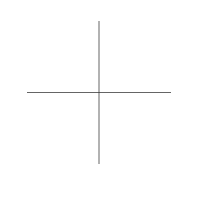 I intended to reflect this with the color scheme I chose but also adding a slight “celestial” feel to the imagery. 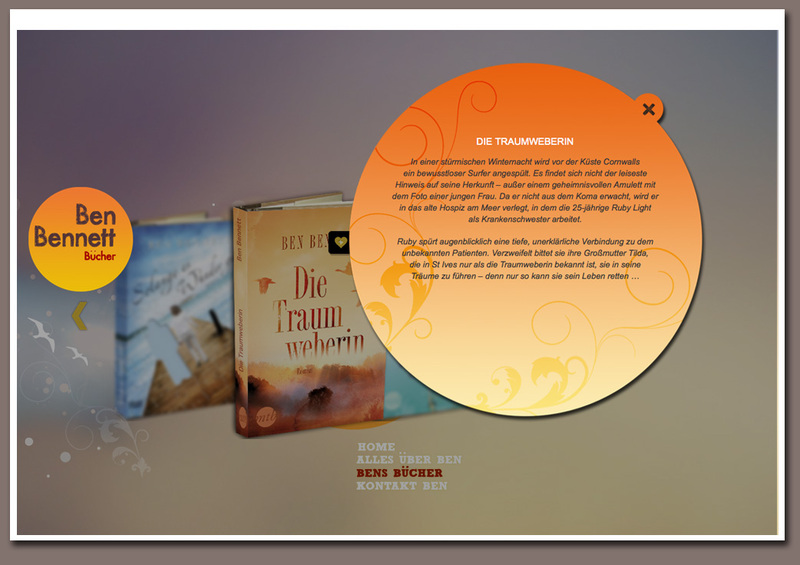 Hopefully I managed to create a warm and romantic look to the site without being girly or adolescent.